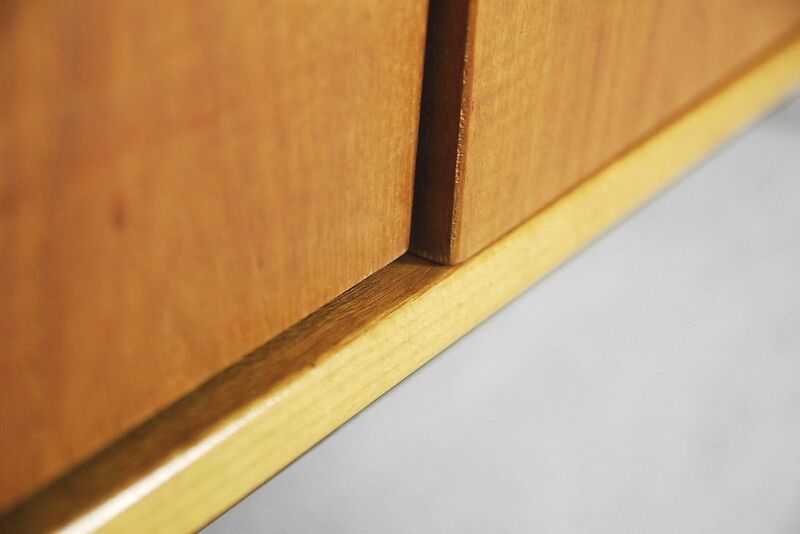 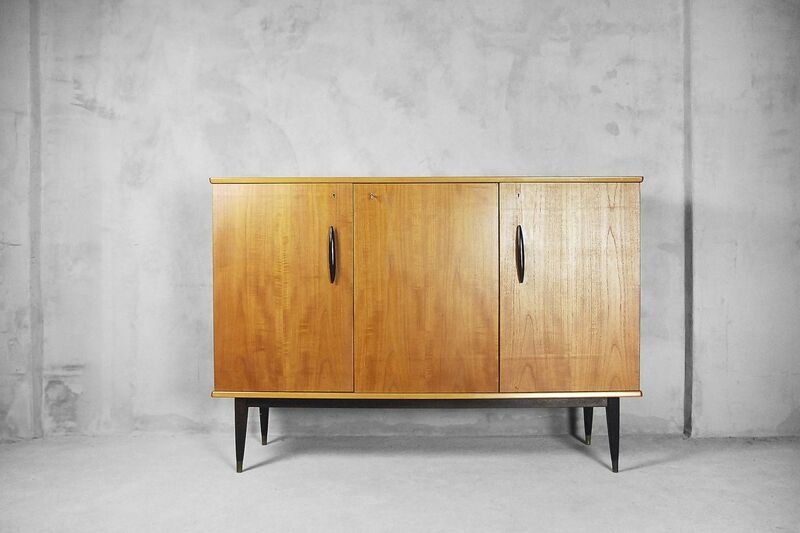 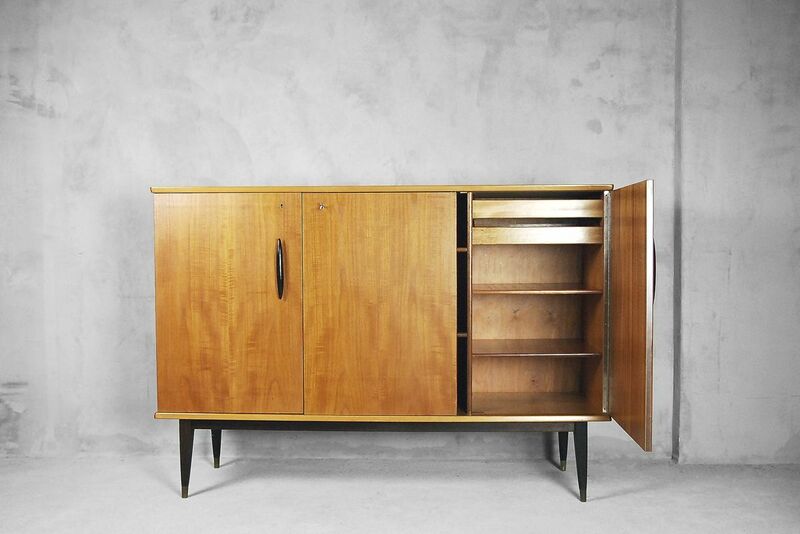 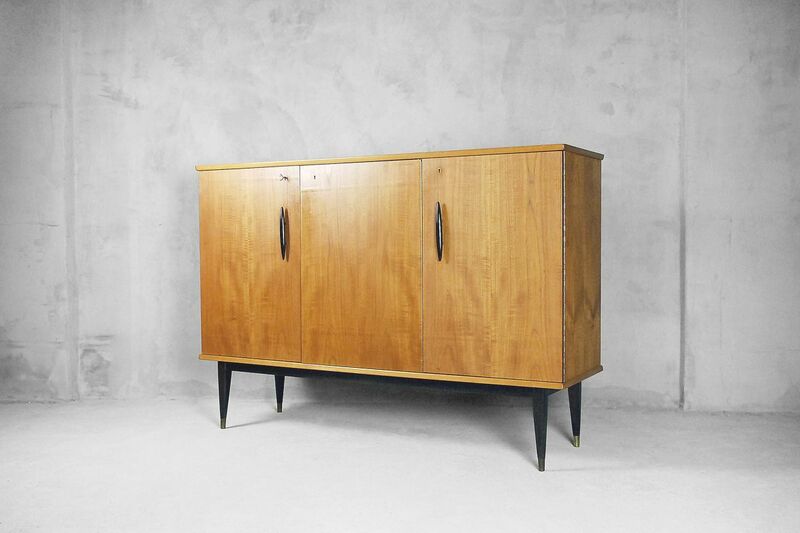 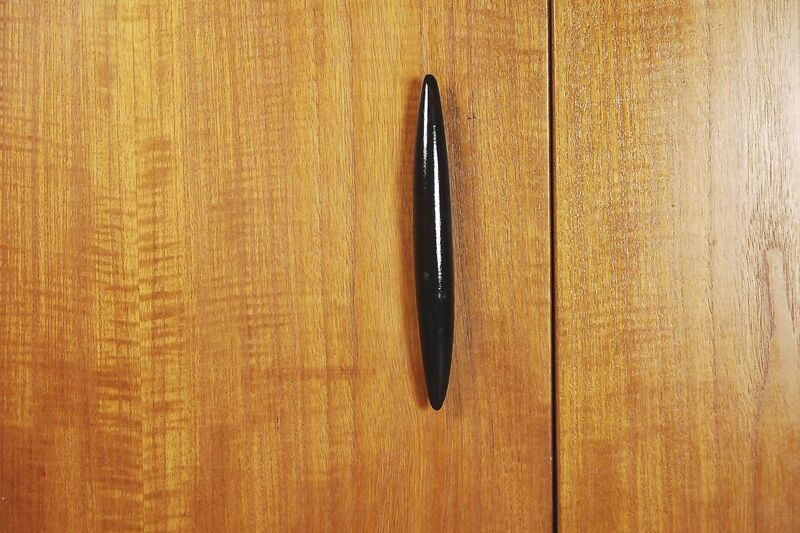 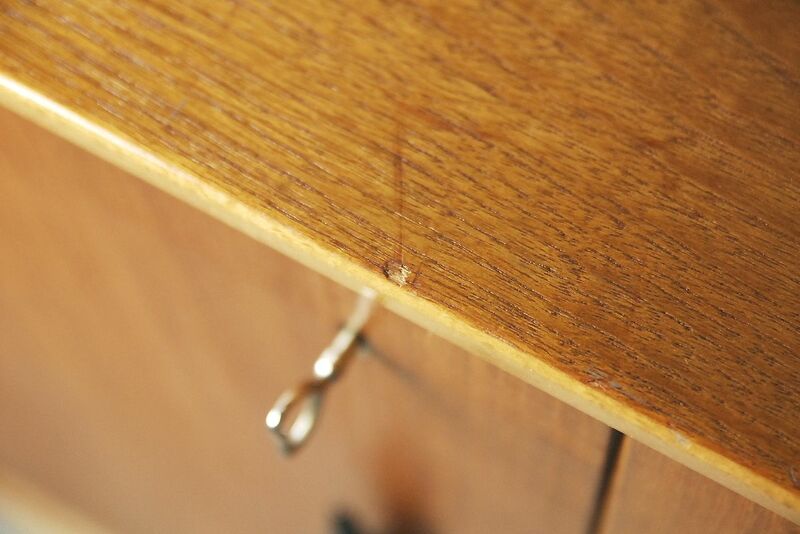 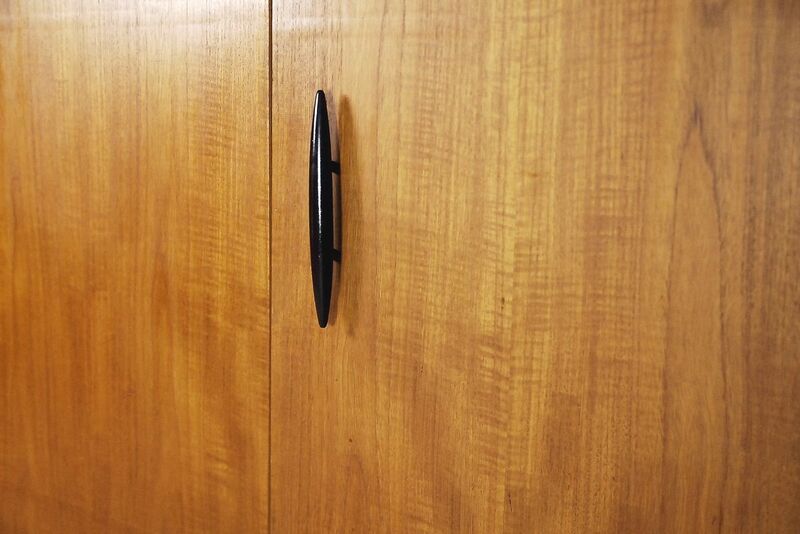 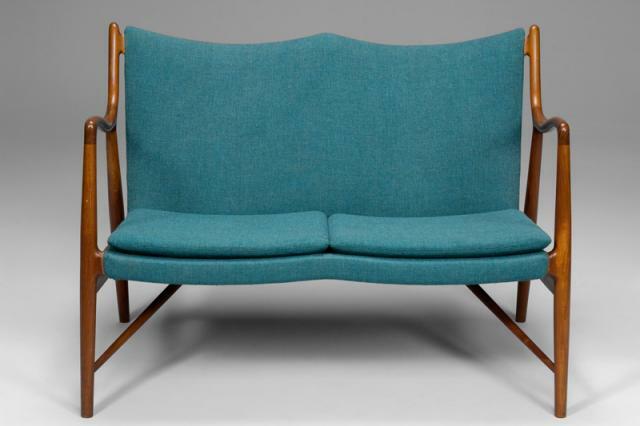 This vintage highboard was manufactured in Sweden during the 1950s. 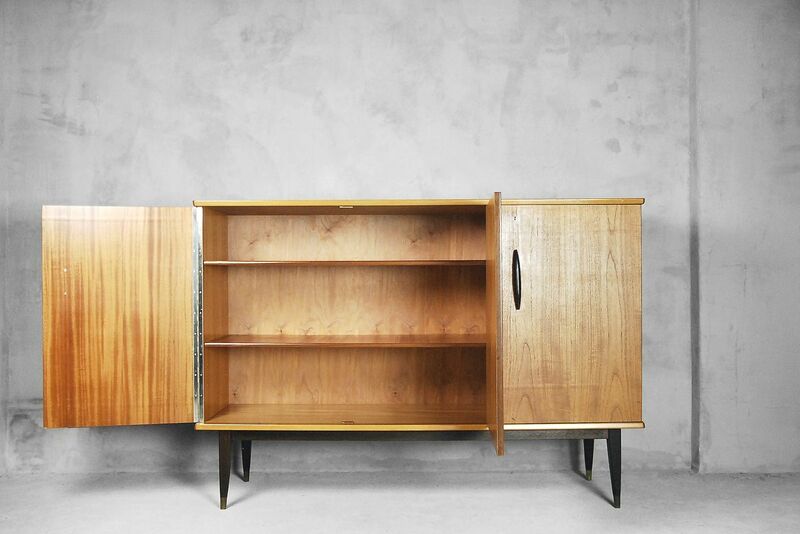 It has three doors, interior shelves, and drawers. 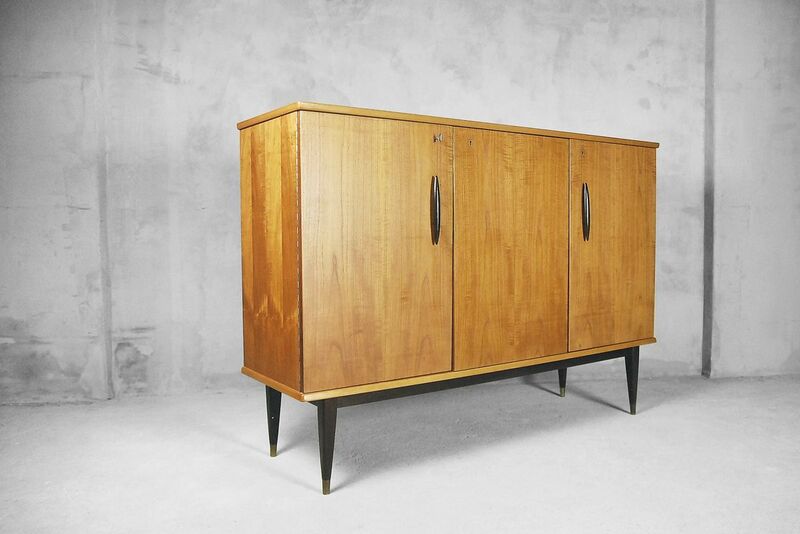 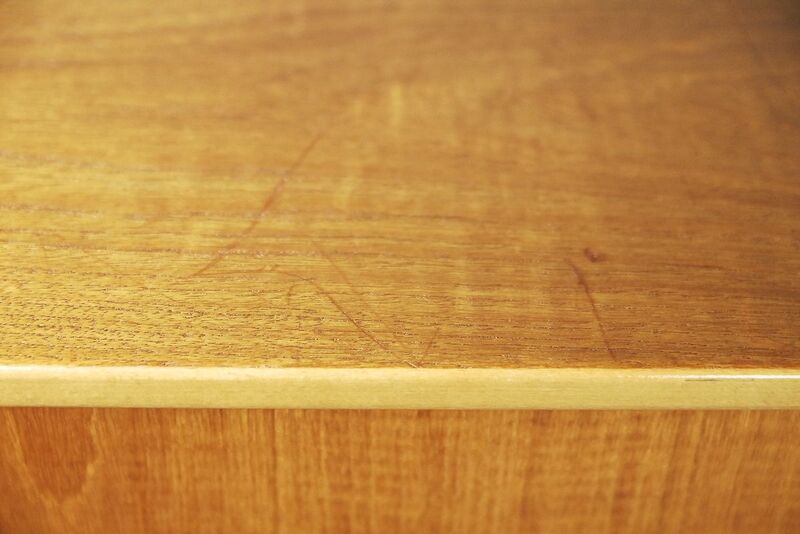 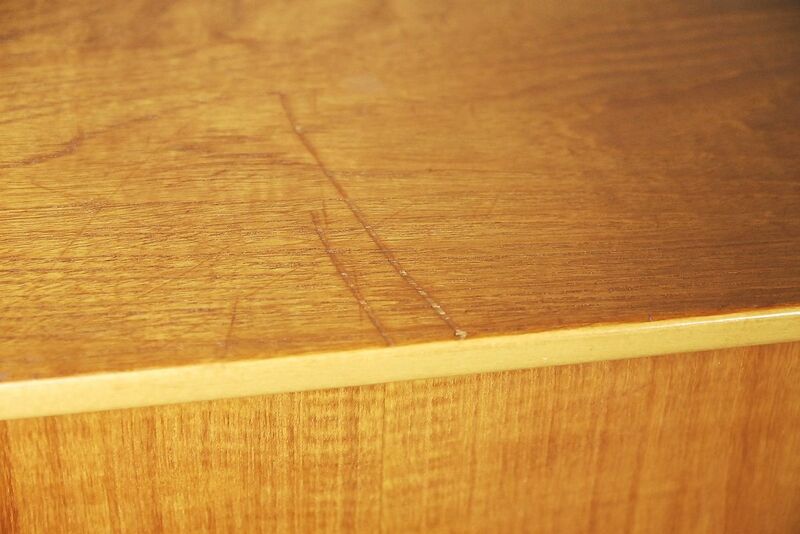 This sideboard was finished in teak with a regular grain in a honey tone. 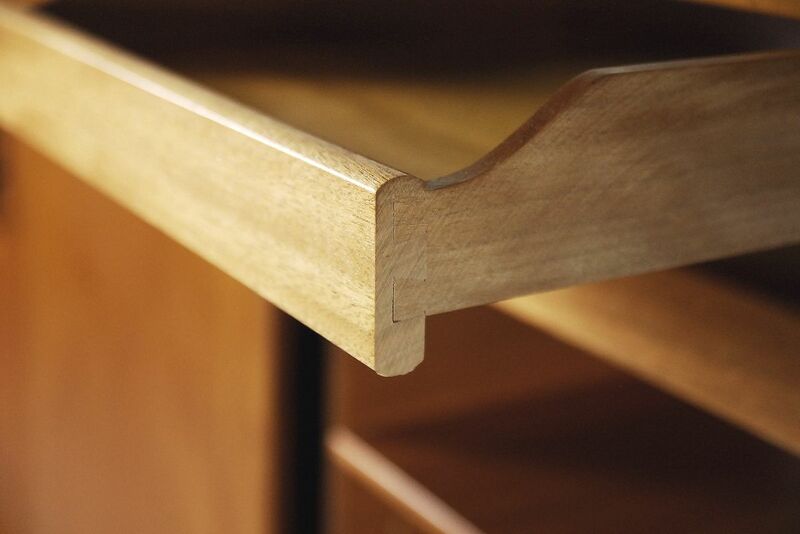 The legs have brass feet. 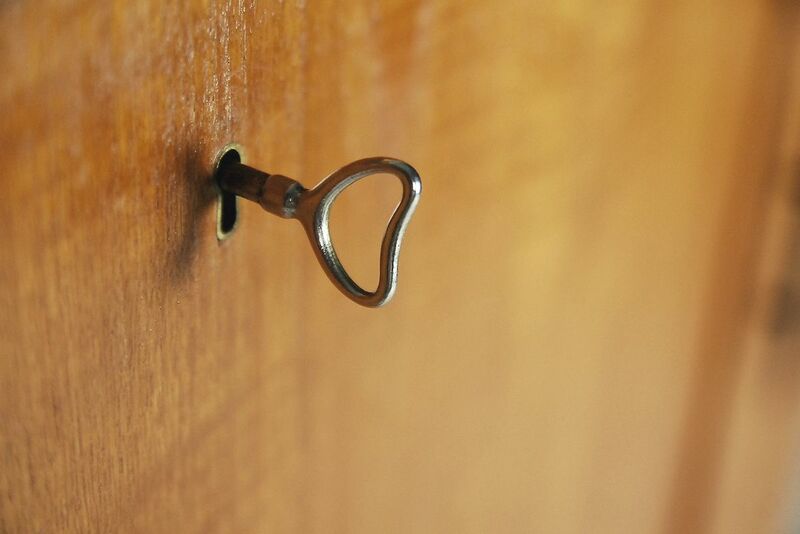 One key for all locks is included.